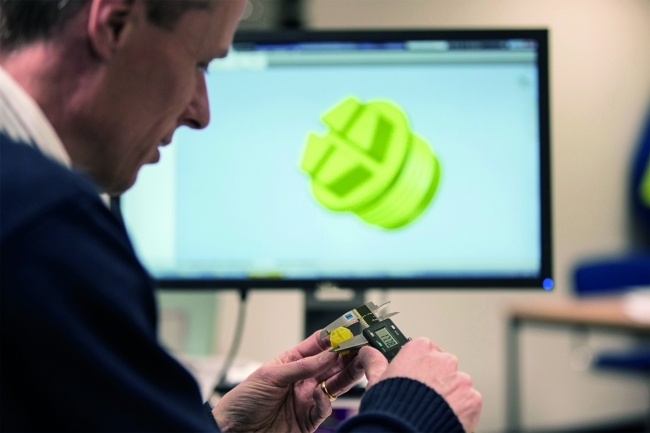 Essentra, a leading global supplier of essential components and specialist packaging solutions, has grown both organically and through acquisition in recent years. At the company’s global manufacturing centre of excellence in Kidlington, home to Essentra Components, several employee development initiatives and investment programmes have already been implemented to ensure the company remains best placed to service the needs of its customers. 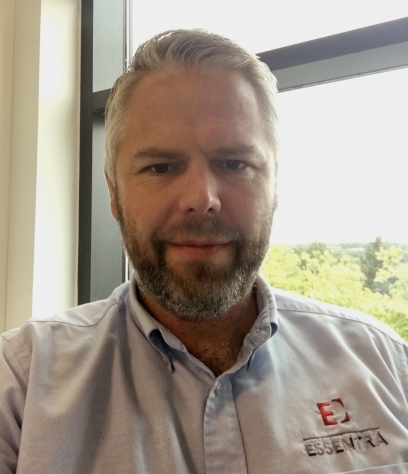 Scott Fawcett, Managing Director shares how, to keep pace with the development of the business, Essentra is investing in both its facilities and its workforce. In 2016, following a reorganisation of our management structure, it was identified that there was a shortfall in training and workforce development in the production areas of the Essentra Components business. Coupled with the desire to upgrade our existing equipment, we embarked on creating an intensive training platform for injection moulding technology and health and safety in that part of the business – in particular, the lifting and slinging of tooling and power truck training. This remains an offer entirely bespoke to Essentra, and combines industry recognised training with specialisms specific to the company’s internal capabilities. As an industry leading manufacturer of essential components, injection moulding is integral to the 40,000 standard products which we make in Kidlington alone. We have over 65 years’ experience in injection moulding onsite, producing over 3.8 million mouldings per day. Our products serve a broad range of industries, including equipment manufacturing, automotive, fabrication, electronics and construction, and supply customers with unique solutions to meet their demands. We have twelve globally located manufacturing sites containing more than 300 injection moulding machines, so ensuring employees have comprehensive training in this equipment and process is vital to our operation. Our intensive course is delivered in three stages, each of which employees must pass consecutively to progress to the next. The first stage was built around health and safety, lifting and slinging injection moulding tools. On average, each of our tools weighs 200kgs and must be lifted and lowered into place with technical precision, using either a pendant or a remote crane. Not only does this training ensure the safety of our employees when operating machinery to move heavy tooling, but it also increases the efficiency of the process. To date we are pleased to report that no employee has failed this training, which is AITT (Association of Industrial Truck Trainers) accredited. Employees then move on to injection moulding technology training which provides them with the skills required to set up the injection phase of the cycle, as well as understand the relationship between injection pressures and speed. Injection moulding training also covers the hold phase, and the importance of the hold pressure and hold time in relation to the desired size of the part in production. This is followed by power truck training, which involves equipping employees with the necessary skills to ensure the safe movement of tools around the mould shop. This was a significant investment for our business but, by ensuring we have numerous employees qualified to take on a wide range of roles in the injection moulding process, we have increased the efficiency of our operation, passing both cost and time savings on to our customers. 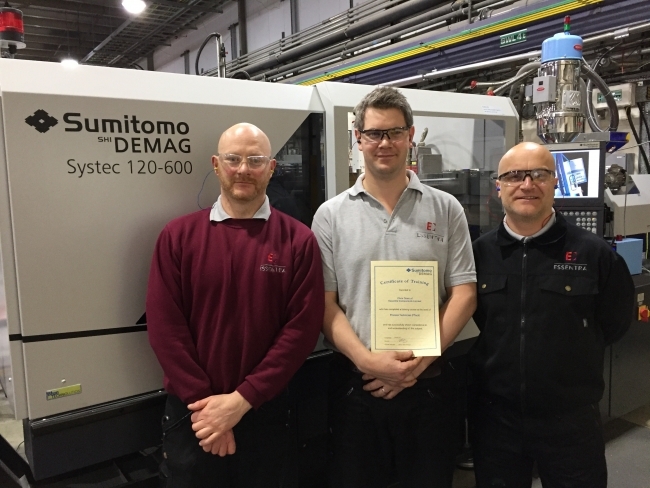 Since its implementation, 34 employees from our injection moulding team have passed this course, and we are continuing to ensure others undertake this training. Following the success of our injection moulding training initiative, investing in our workforce remains a key theme for us in 2017. Already this year we have trained three of our machine packers to set up certain of our Sumitomo Demag machines. These employees completed both internal and external certifications from Demag as part of this process, and passed the ‘Tool Hanger Programme’. Three more employees are currently undertaking this training and will be qualified by the end of the year. In addition, 79 employees from our Kidlington site have undertaken our accredited ‘Operator Course’ to learn the specific complexities of starting up and shutting down the machines correctly and efficiently. This course also provides a deep dive in to the critical safety requirements during mould change, and ensures that employees know how to conduct thorough machine safety checks throughout the machine run. We are proud to offer industry leading training which is having a significant impact on both our employees’ prospects and the future of our business. We are constantly monitoring our production performance data to identify further areas for development and improvement. Not only are such initiatives helping us retain staff and improve employee job satisfaction at Essentra Components, we are also seeing individuals applying for roles with the company due to the extensive range of training opportunities that we offer. In addition, Essentra was delighted to announce its first national apprenticeships programme in April this year. The programme will be rolled out across multiple sites in the UK, including Kidlington, and will provide 20 young apprentices across the country with key skills in both Essentra’s components and specialist packaging businesses. Half of the apprentices started in May, with two taking up roles within our production facility in Kidlington; the second ten participants will begin their roles in October. Comprised of a selection of vocationally recognised qualifications, as well as technical, functional and soft skill modules, the programme will take 36 months in total to complete, providing participants with a level three apprenticeship. Working in partnership with industry recognised training delivery providers, our apprentices will receive one-to-one theory-based training from an assigned on-site facilitator, gaining core skills as well as support with their transition from education to a working environment. Upon successful completion of the three-year programme, apprentices are guaranteed a permanent job at Essentra. In terms of our facilities and equipment, technology is driving our investment and the decisions that we are making. In the last 10 years, we have invested £13.5m in upgrading, future proofing and digitising our operations in Kidlington. 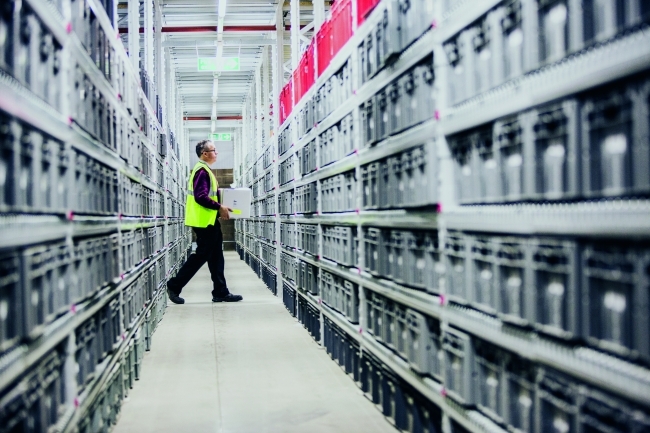 From building our new £7m warehouse and upgrading the existing warehouse management system, to replacing and optimising all tooling moulds, our focus is on continuing to ensure that we are optimally positioned to provide a market-leading product range and superior service to our customers.